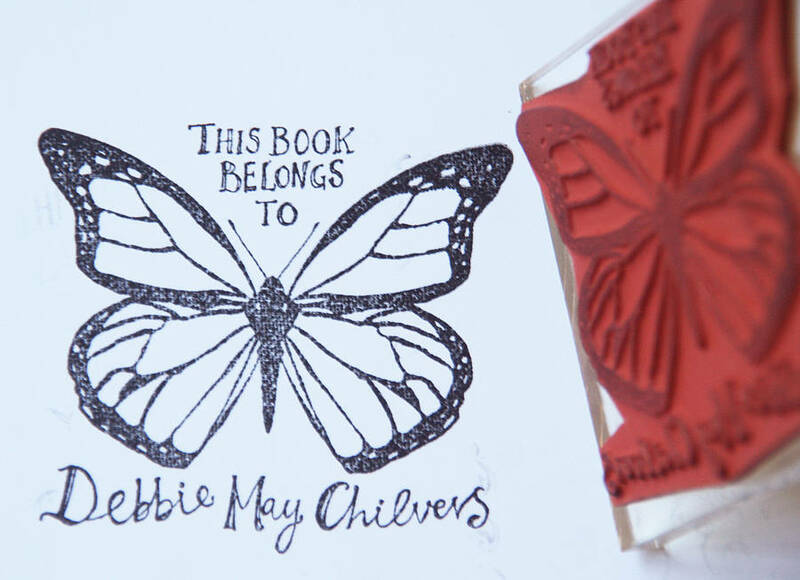 Personalised Butterfly 'Ex Libris' stamp: great for all ages. An original and personal gift to help booklovers put their stamp on cherished book collections. Ideal as a Birth, Christening, Naming-day, Birthday or Christmas gift. Pretty as a picture, this butterfly design was inspired by old-fashioned butterfly collectors and their neat hand-written labels. A brilliant way to keep track of your own (book) collections. Each stamp is individully hand drawn to incorporate the full name of the recipient . 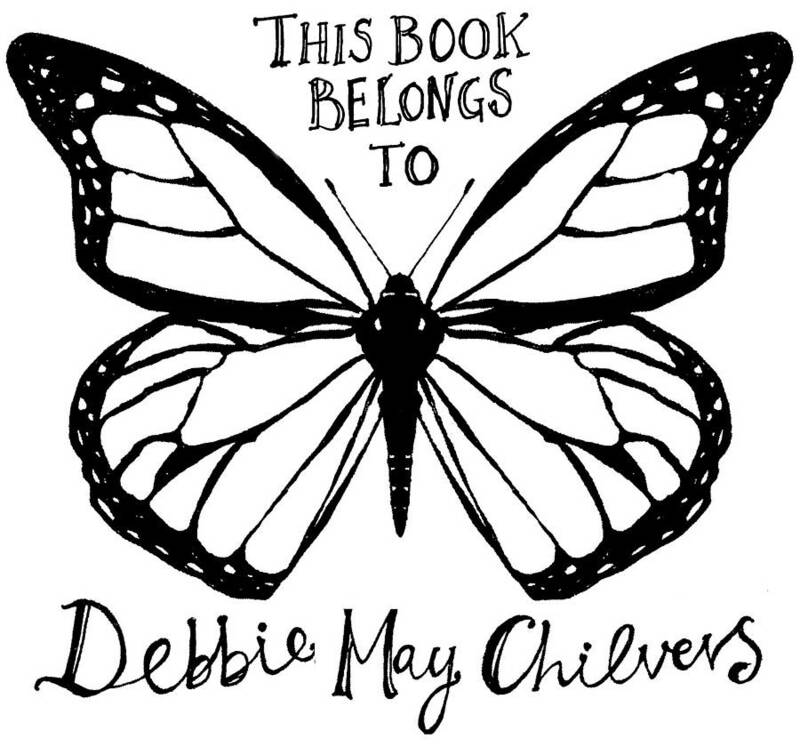 Names will appear underneath the Butterfly (as shown). Maximum 30 characters. 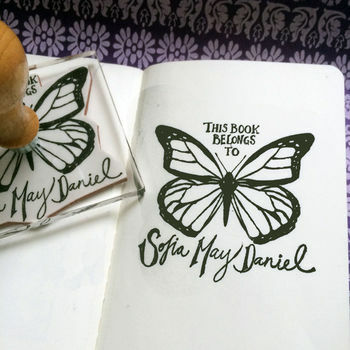 Available as stamp only, or stamp and black ink pad. Rubber stamp mounted on clear perspex. 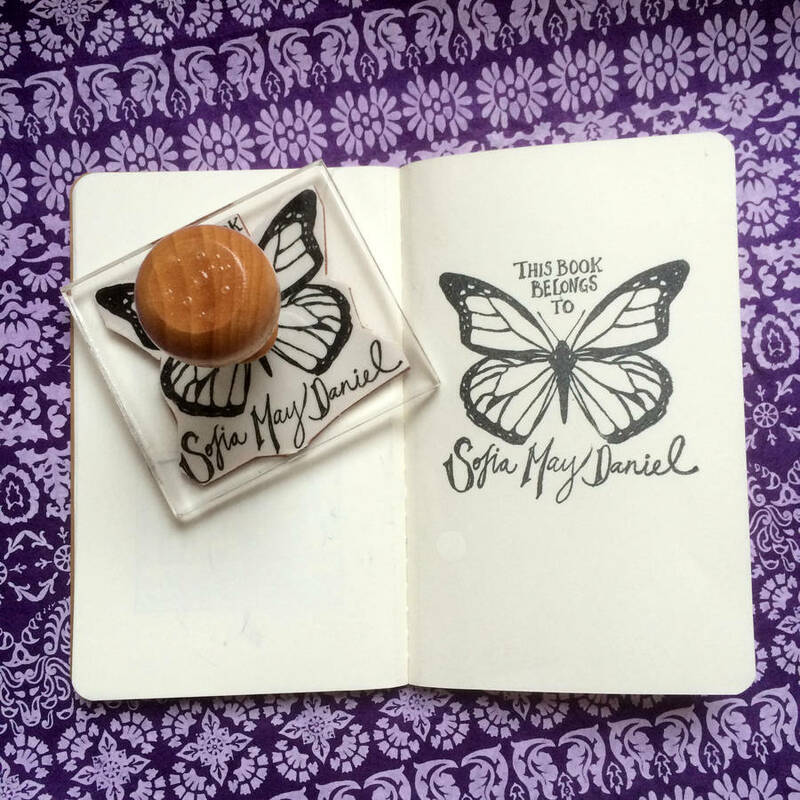 Stamps come with a smart real-wood handle. Image size is 7 x 6.5cm approx.